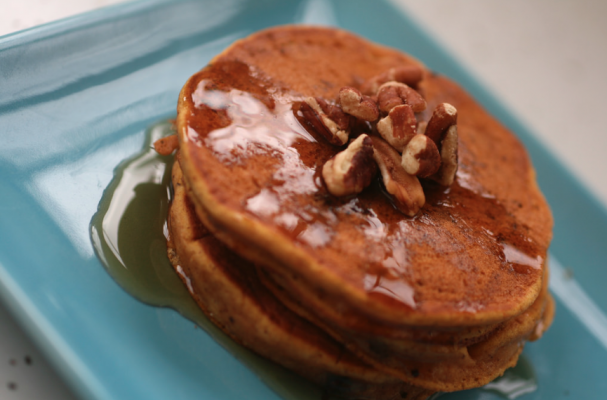 Slow fall mornings are made for fresh pumpkin spice buckwheat pancakes. This amazing recipe is gluten-free and dairy-free so regardless of dietary restrictions, everyone will be able to enjoy a hearty breakfast. The secret to these delicious pancakes are the fresh spices (no pumpkin spice mix here). I would suggest picking up the whole spices when possible and grinding them yourself for optimum flavor. You can even create your own mix so that your spices will be ready on hand for pancakes any morning of the week.